We have a SUPER exciting announcement today! We’re incredibly proud and very honoured to tell you that we are now supporting the amazing organisation, Girls Not Brides. Girls Not Brides is a global partnership of more than 400 civil society organisations from over 60 countries committed to ending child marriage. 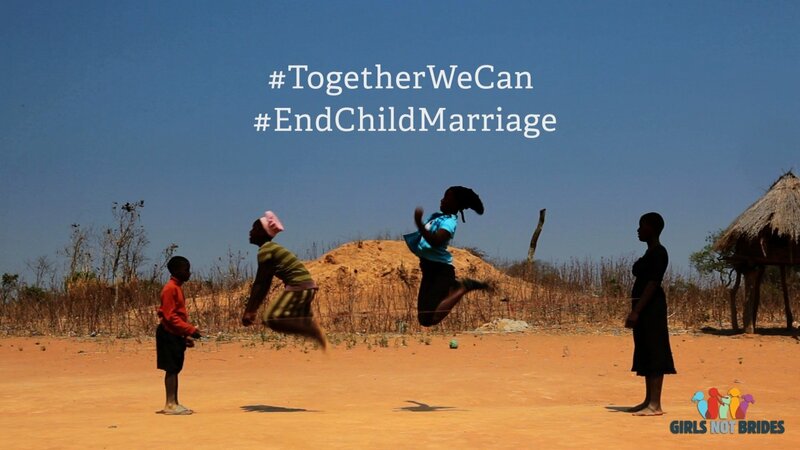 The member organisations and charities are based all over the world and work in many different ways to bring an end to child marriage. Some work directly with communities, girls, and child brides, whilst others focus on research and advocacy to bring greater attention to this neglected problem. Every year across the globe, approximately 15 MILLION girls are married before they turn 18. They are robbed of their childhood and denied their rights to education, health and security. In the developing world, one in nine girls is married before her 15th birthday and some child brides are as young as eight or nine. These girls are neither physically or emotionally prepared for marriage and all that is expected of them, leaving them vulnerable to health complications in pregnancy and subject to domestic abuse. We are SO honoured to launch the beginnings of a wonderful relationship with Girls Not Brides, raising awareness of this very serious issue, and helping our happy couples help those less happy in marriage. Over the coming weeks, expect to see more and more about you can get involved and how you could include raising awareness or money for Girls Not Brides' member projects in your wedding. Happy couples stopping unhappy marriages. That’s our mantra from now on! Want to act now? Tweet, share, shout from the rooftops. #TogetherWeCan!